UU A Way Of Life: Thought for the day - Who gives two hoots? The owls maybe? 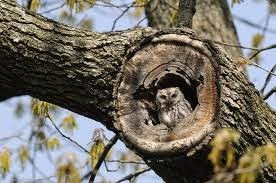 Thought for the day - Who gives two hoots? The owls maybe? Dellarobia senses that there is more at stake in logging this mountain than money; we might be talking the extinction of a species, and this fact of the situation might lead one to question, "Who gives two hoots?"